Home » What To Do If You Become A Victim of Laglag Bala? Home » Government » What To Do If You Become A Victim of Laglag Bala? What To Do If You Become A Victim of Laglag Bala? 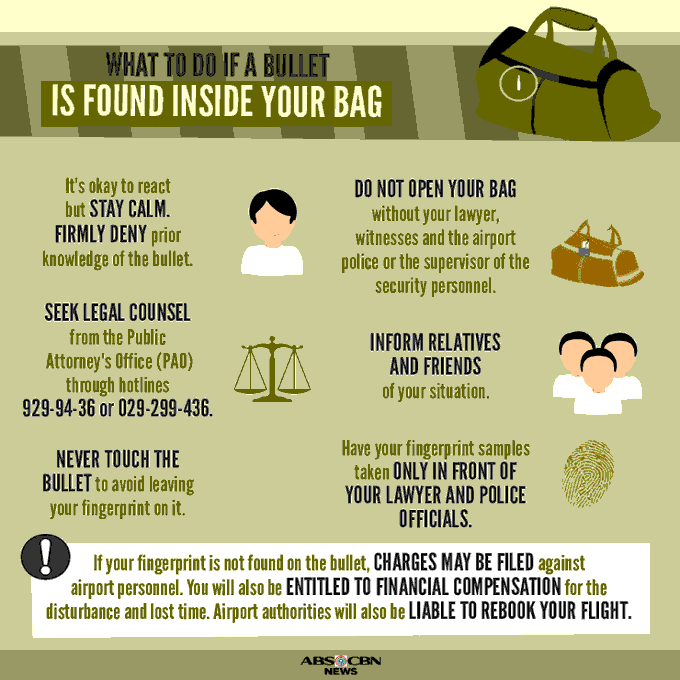 What To Do If A Bullet Is Found Inside Your Bag? Firmly deny prior knowledge of the bullet. To prevent or avoid leaving your fingerprint on it. for the disturbance and lost of time you incurred. Airport authorities will also be liable to rebook your flight.